I’m pleased to announce that I was awarded Second Prize at the 2018 National Young Artists Competition in Organ Performance (NYACOP), held as part of the 2018 Convention of the American Guild of Organists in Kansas City. The competition began with a recorded round due in the fall of 2017. Nine semi-finalists were chosen to compete in the following round on June 28th, 2018 in Wichita, Kansas. The semifinals were held on the Marcussen Organ at Wichita State University’s Wiedemann Hall. Each semi-finalist performed a 35-40 minute program consisting of pieces by Buxtehude, Bach, Reger, and one of Demessieux’s Six Etudes for Organ. 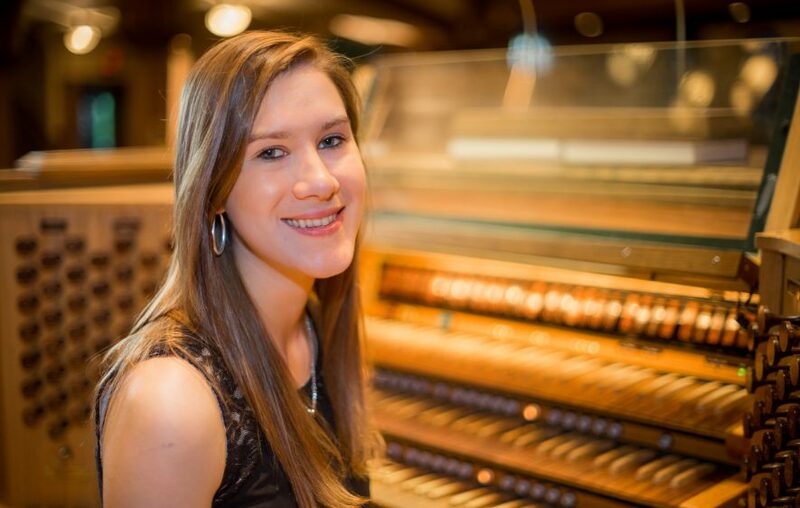 At the conclusion of the semifinals, five finalists were chosen to compete in the final round on the brand-new Richards, Fowkes organ at Village Presbyterian Church. Each finalist crafted an hour-long program using both pre-determined repertoire (including the Bach’s Passacaglia in C minor BWV 582, the Duruflé Scherzo, any work of Leo Sowerby, and Thomas Kerr’s Arietta) and free choice repertoire. Unlike the semifinal round, the finals were not “blind,” meaning the jury faced the performer, whose name was announced, and the competition became more like a public performance. The finals were an official AGO Convention event, and convention attendees made up a fairly large audience, even at 9am, when I began playing as Competitor A. In addition to the given repertoire, I also performed the Liszt BACH and two settings on Jesu, meine Zuversicht by Homilius. The organ served each piece beautifully (even when I faced challenges with registration changes, given our brief practice sessions leading up to the competition), and I felt honored to have a chance to get to know the instrument throughout the experience. Ultimately, the judges awarded me Second Prize, for which I feel satisfied and proud. Always in performances we look back and contemplate what could have gone better, what we might have done differently. And in competitions, so much is left to chance. What is important is to learn as much as possible through every experience, and to go away with a positive and grateful attitude for having grown through the process. Onward to a brand new semester and new experiences to be had!